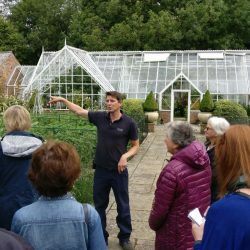 Dispite a road closure & thanks to our sat-nav’s, we all assemble at our first garden at Farleigh House where Andrew Wooley, the Head Gardener, took us on a brilliant tour. 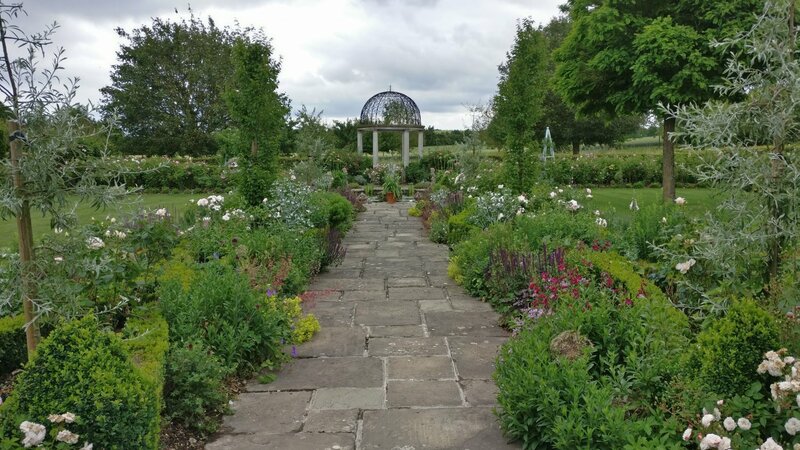 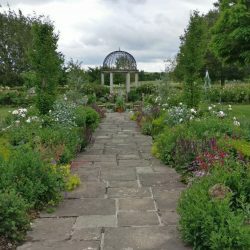 One of the highlights of the ten-acre gardens, which were commissioned by Lord and Lady Portsmouth in 1992 from renowned garden designer Georgia Langton, is the walled garden which encloses an ornamental potager and rose garden. 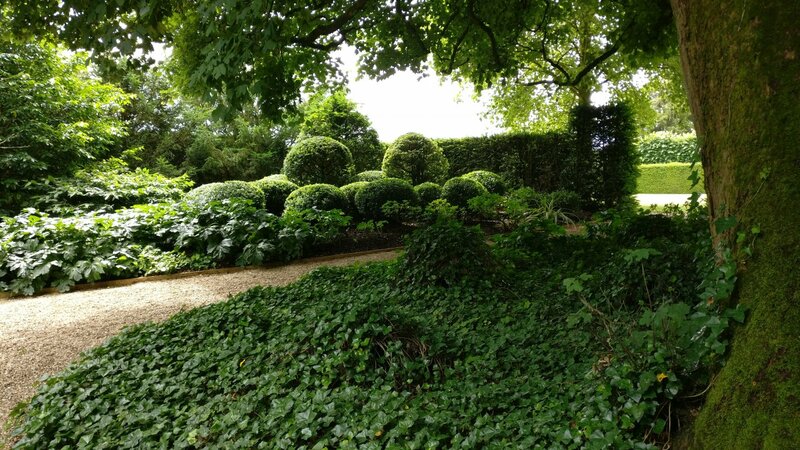 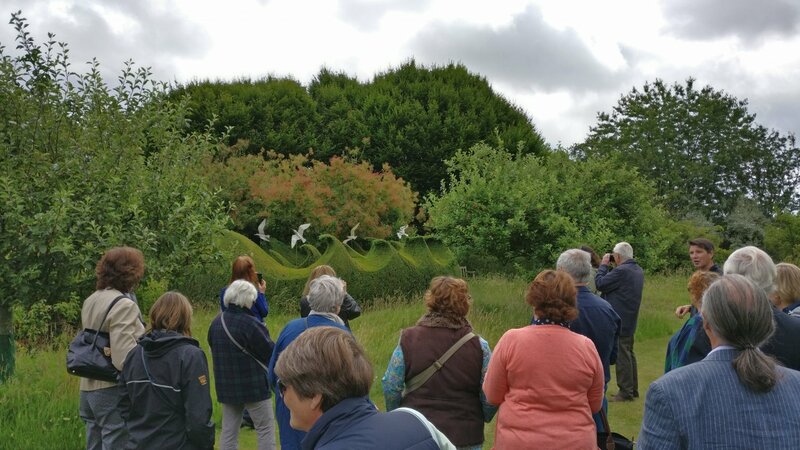 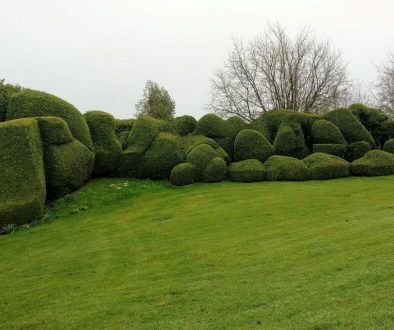 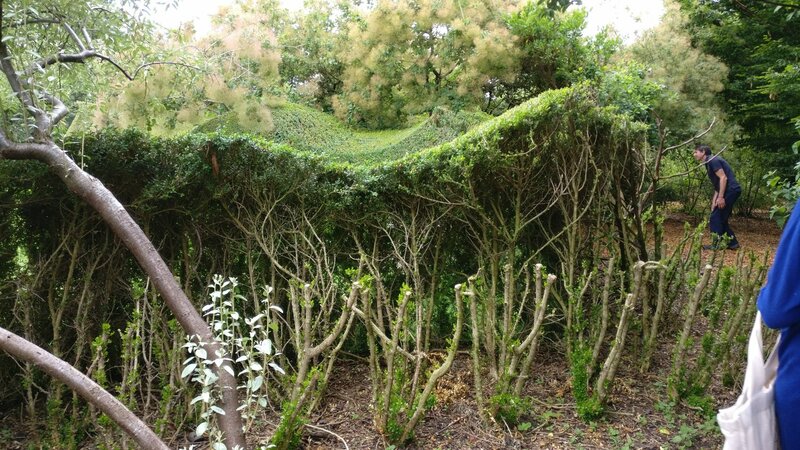 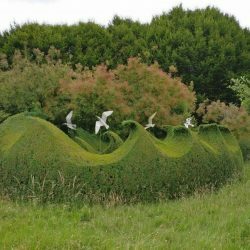 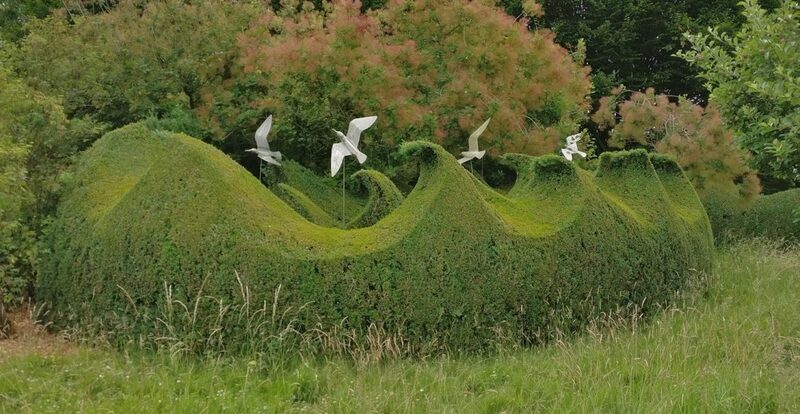 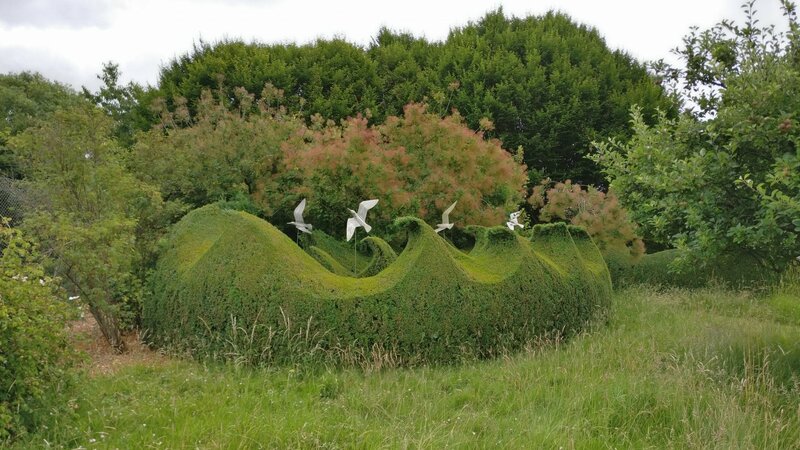 However, for us topiary lovers, the highlight was definitely the circular waves that Andrew has crafted. 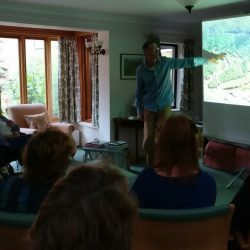 He explained how it was formed and also took us round the back so we could see how he was developing another row of waves. 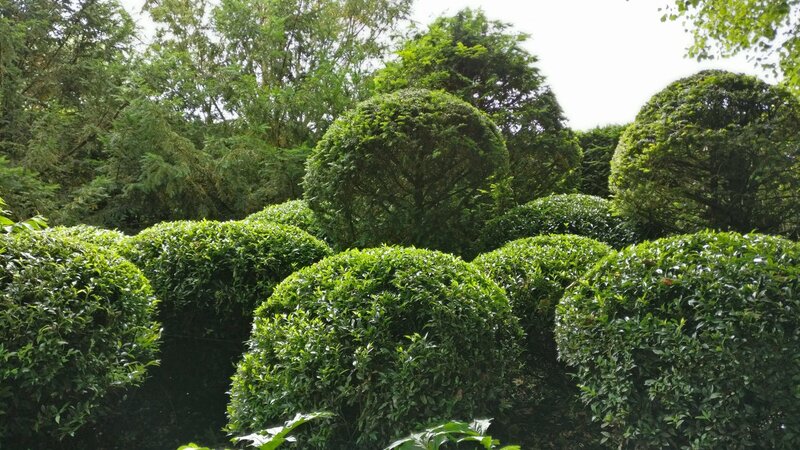 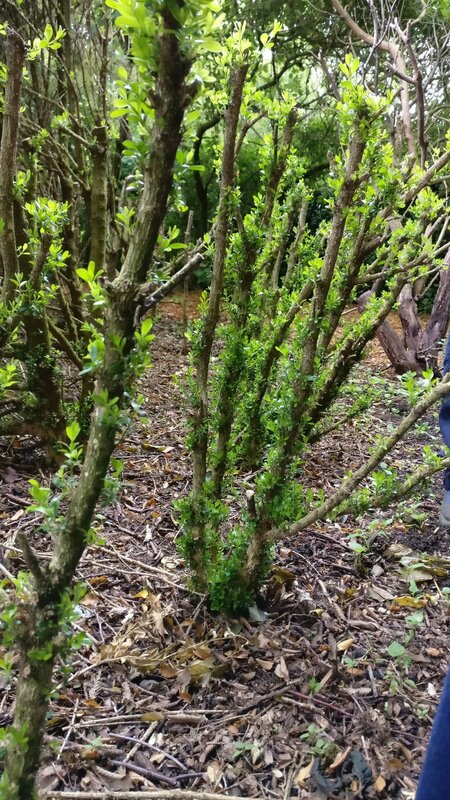 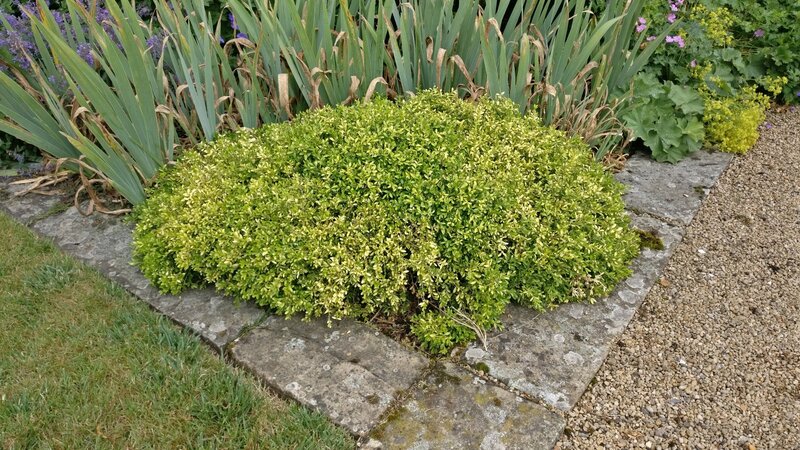 This really demonstrated how box can servive very strong pruning if done at the right time. 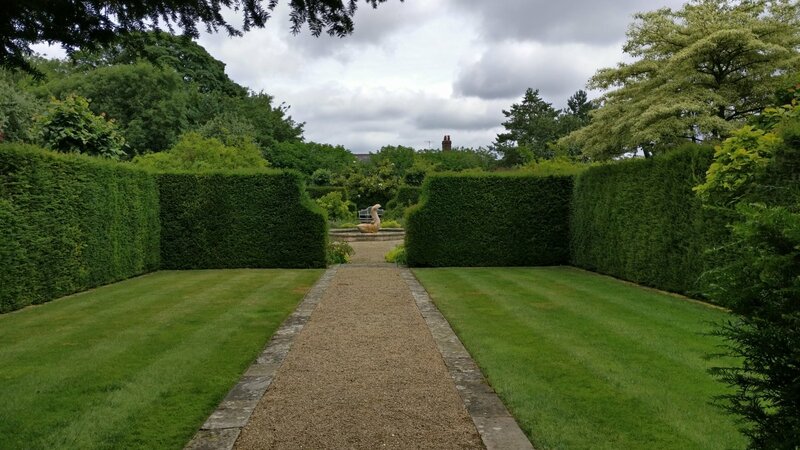 After this is we took a leisurely stroll through the serpentine Yew walk and on up to the newly formed lake, taking in as we went the spectacular views over the surrounding countryside. 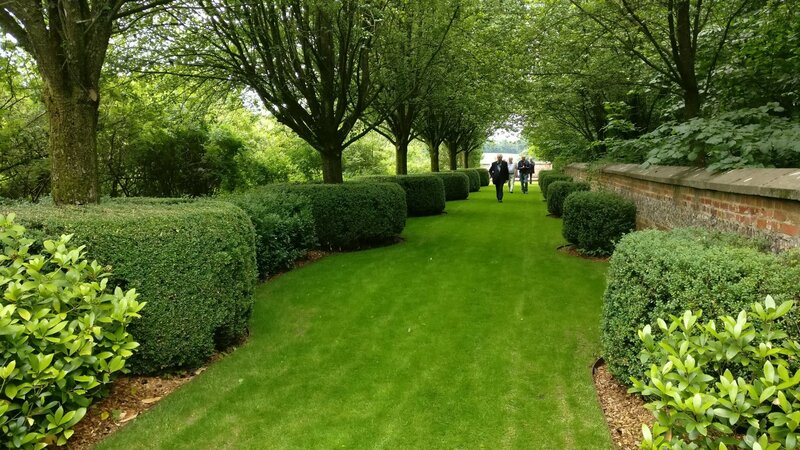 The gardens feature in The Good Gardens Guide and the National Gardens Scheme’s Yellow Book. 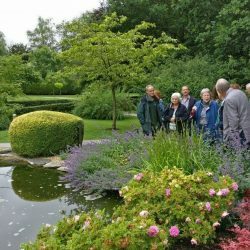 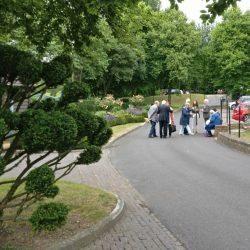 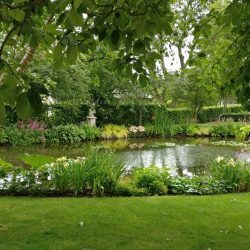 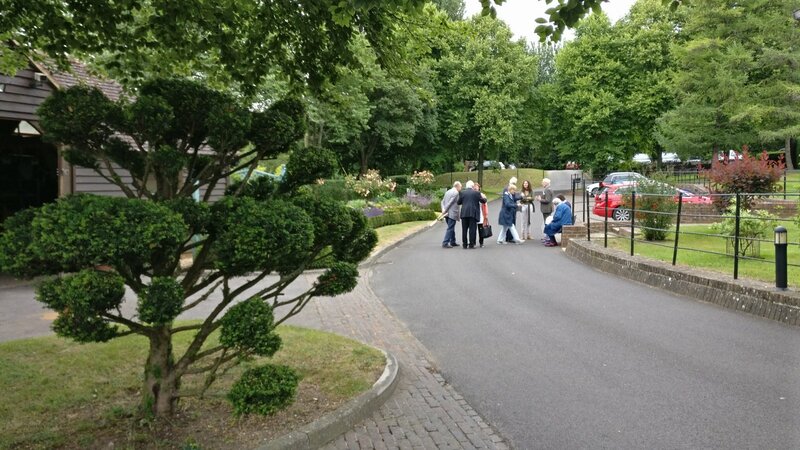 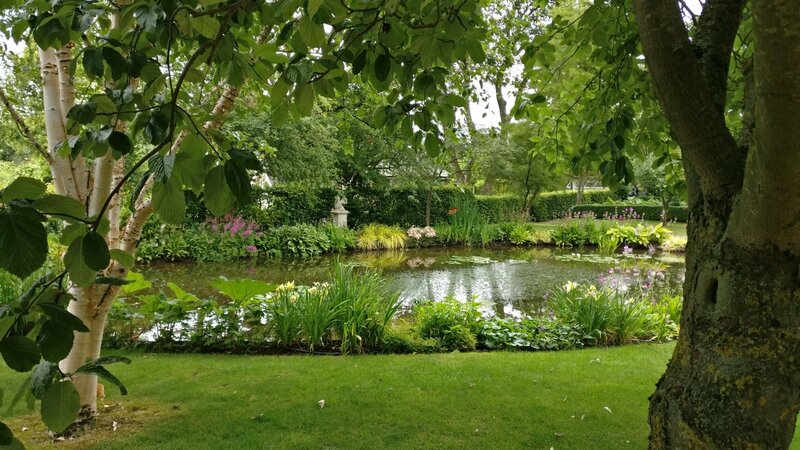 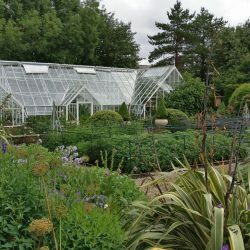 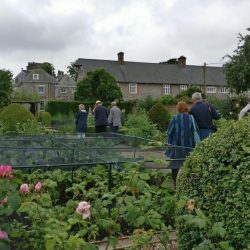 However, EBTS UK was very lucky as this was the last garden tour and in future the gardens will only open once a year. 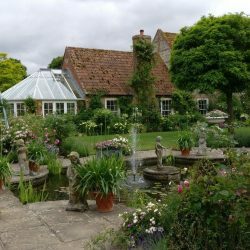 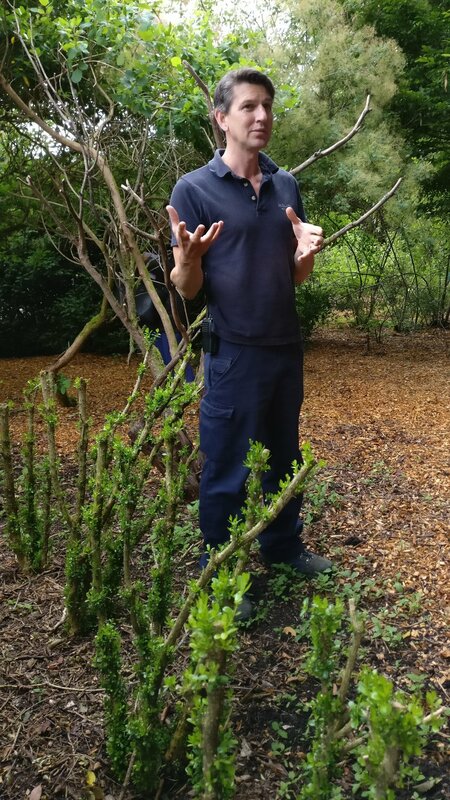 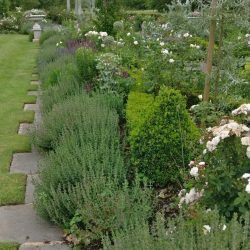 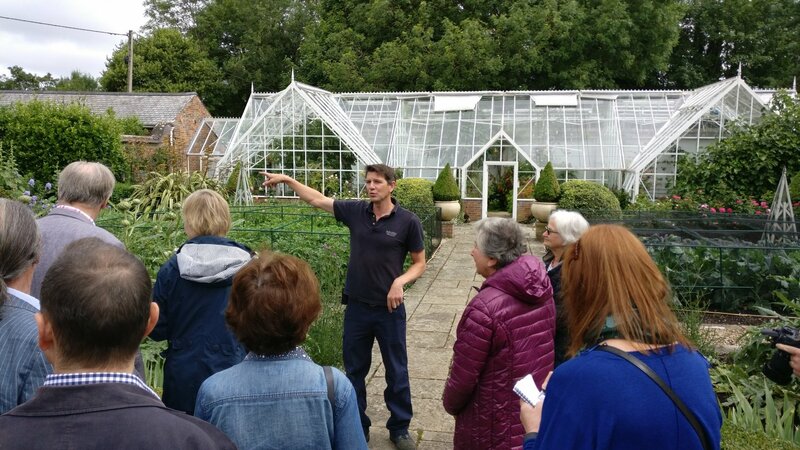 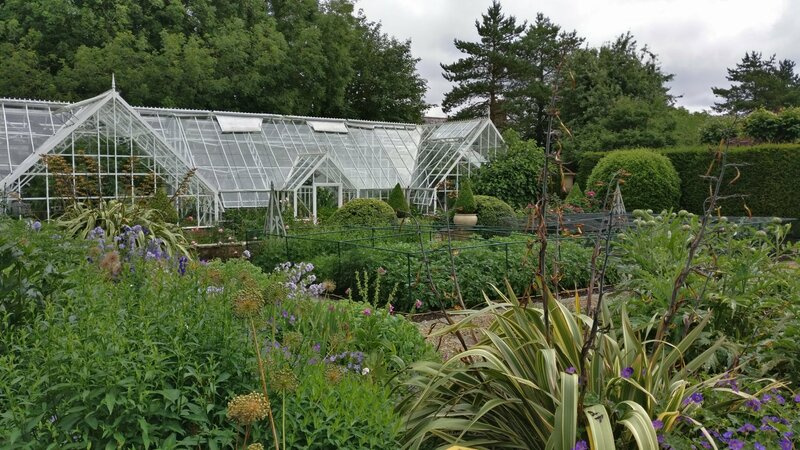 Thanks to Andrew for his most information and friendly tour and we wish him well with his plans for the garden & his design business. 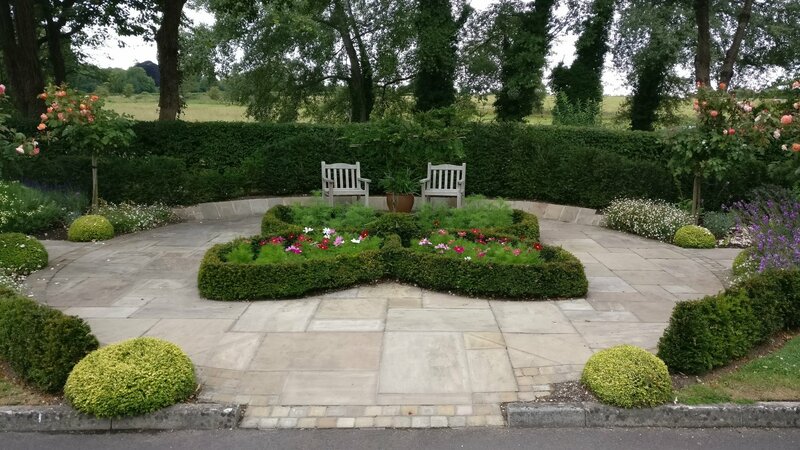 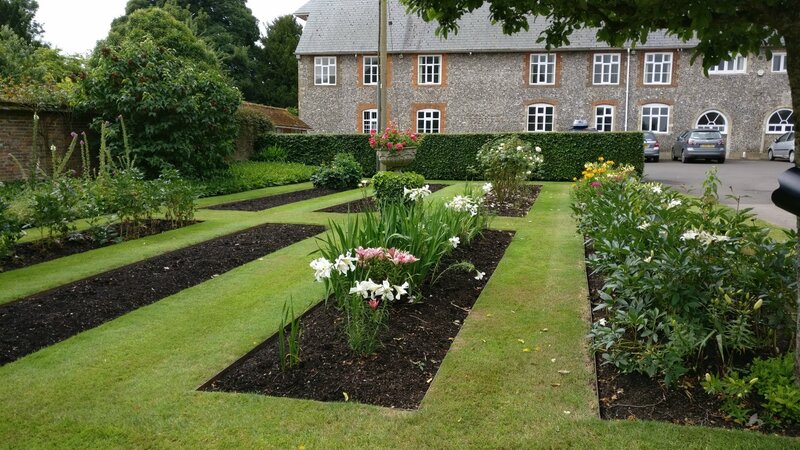 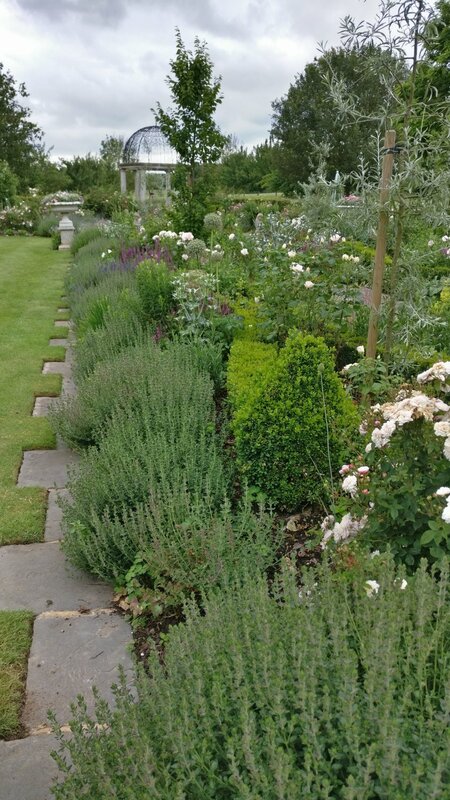 The garden is laid out around the house which was converted from farm buildings around 24 years ago. 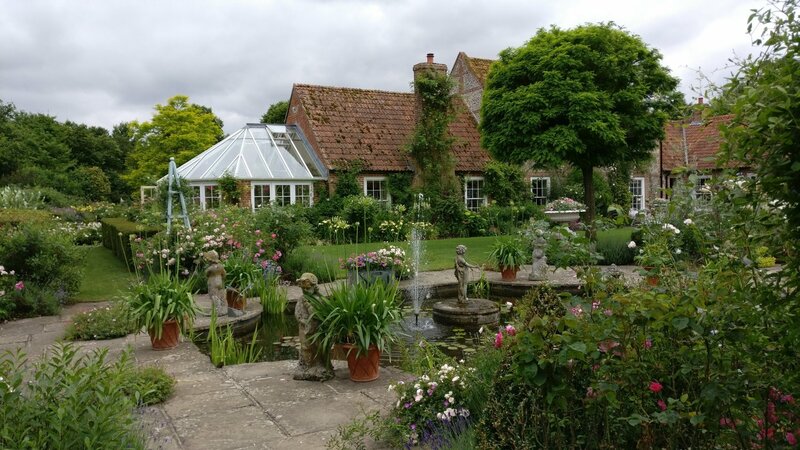 The house is festooned with clemetas and roses. 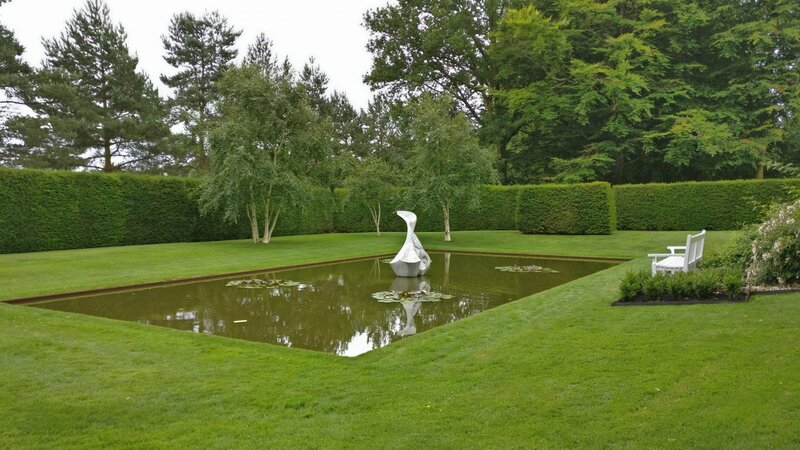 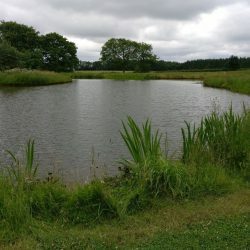 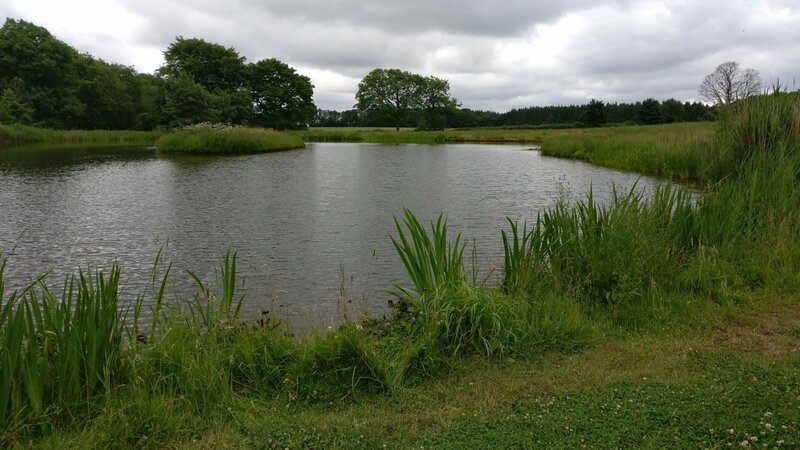 To the left of the entrance is the pond and a vegetable patch with box borders. 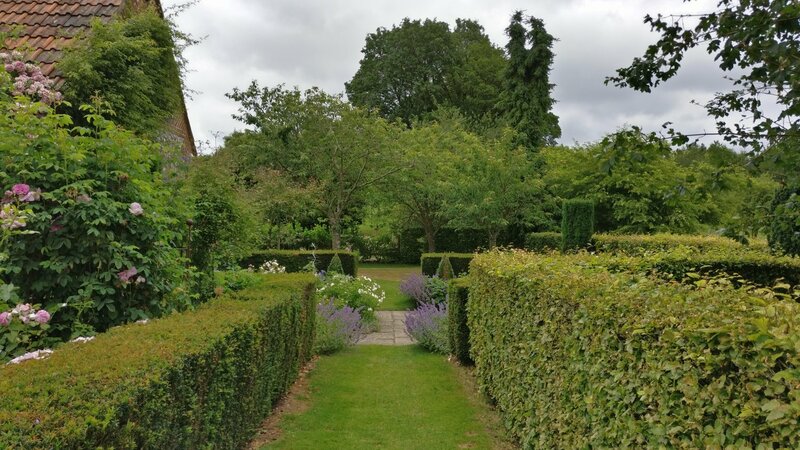 Walking to the right of the house is the main garden, formed by buildings on 3 sides with the forth giving views out across fields. 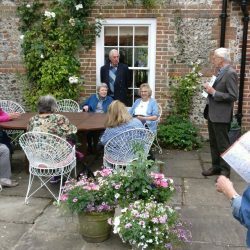 The owners, Carolyn Sheffield and her husband, kindly provided a delightful lunch and a talk about the work they have done on the house and gardens since they moved in. 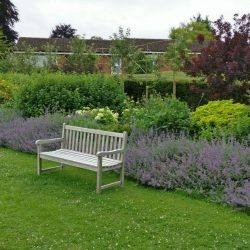 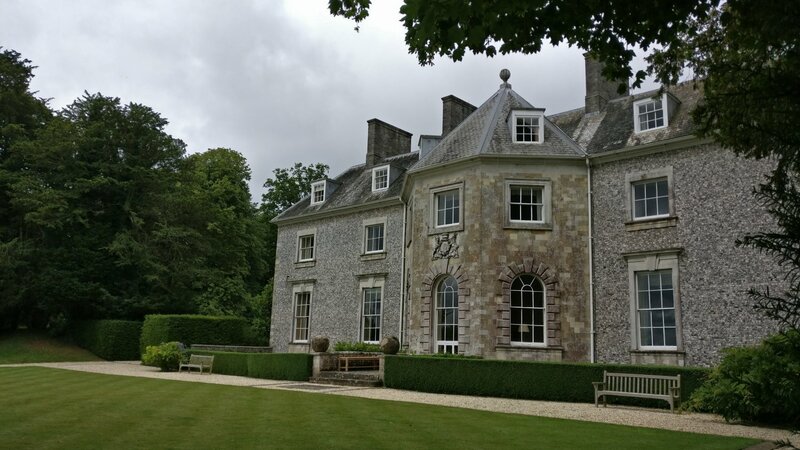 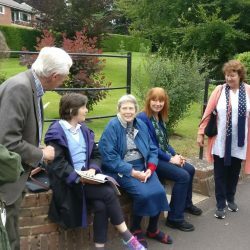 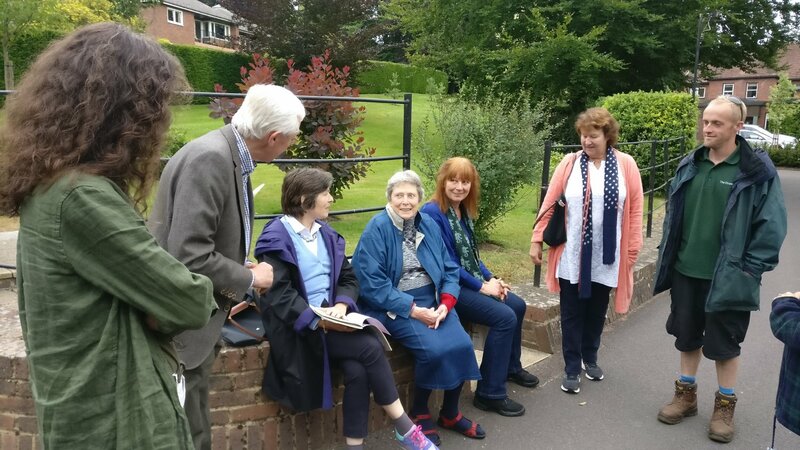 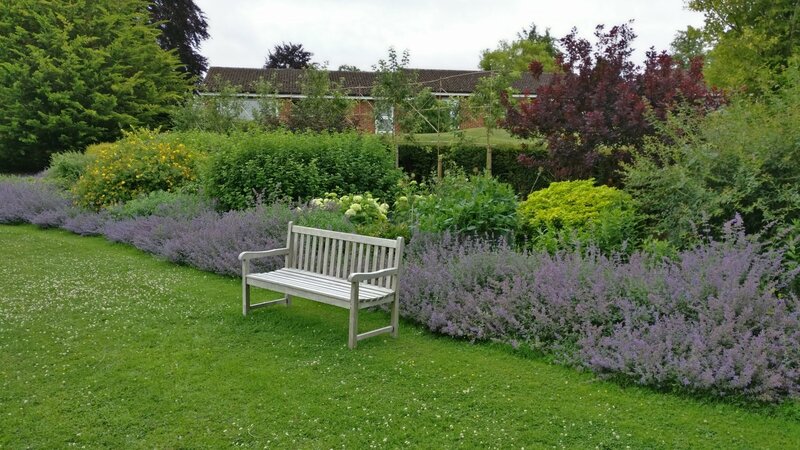 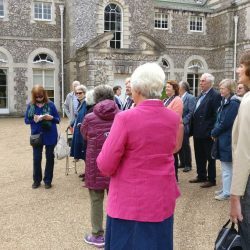 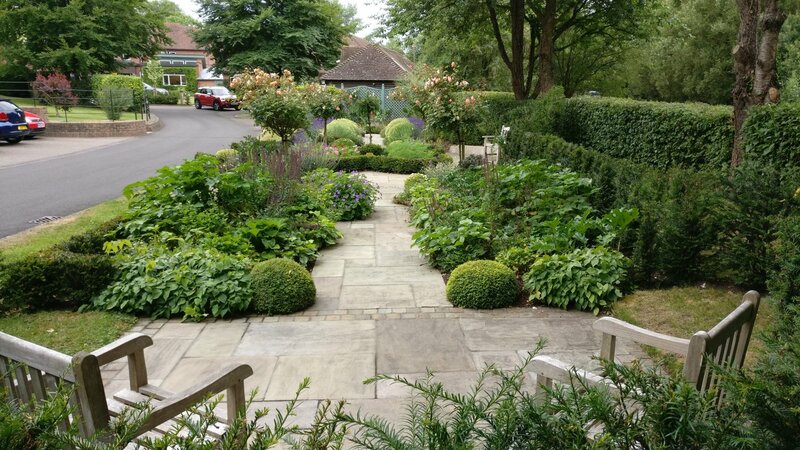 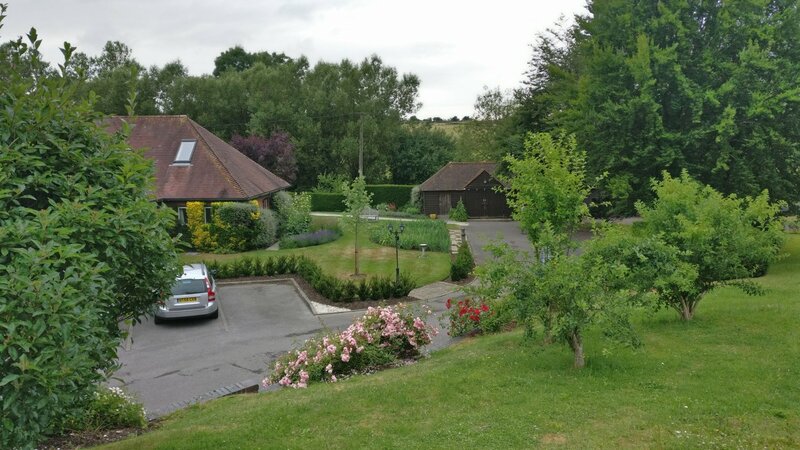 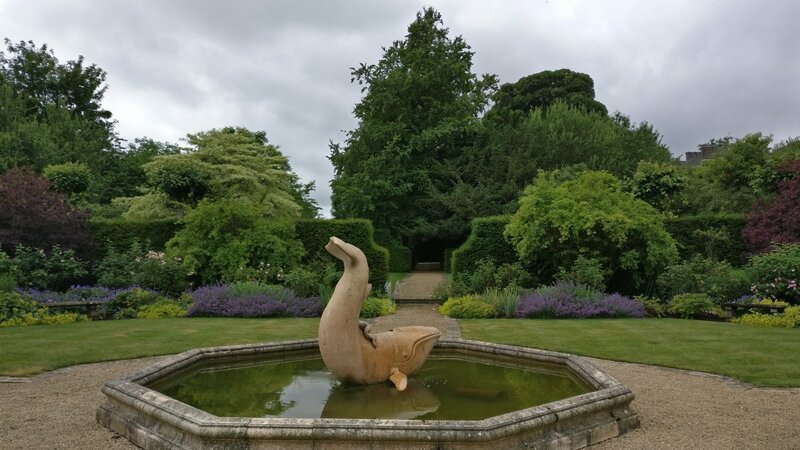 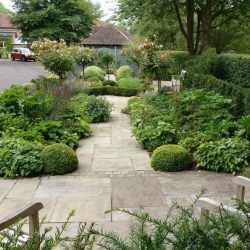 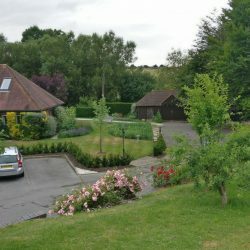 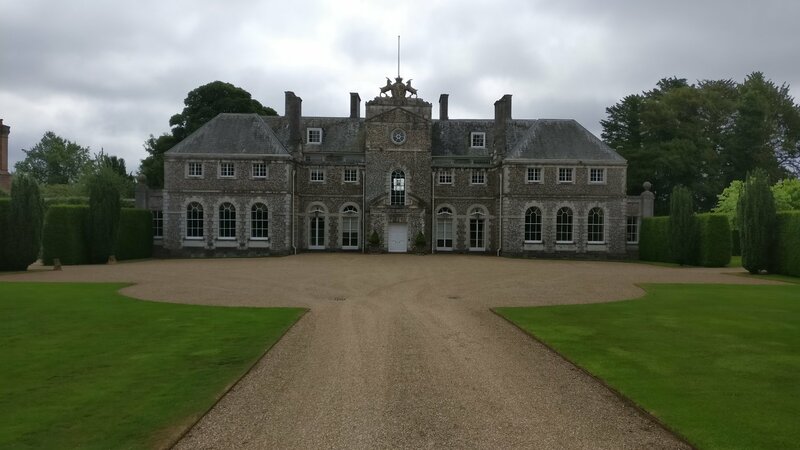 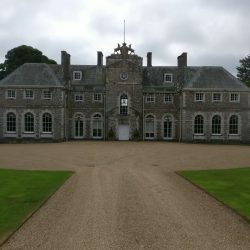 Our day out in Hampshire was rounded off with a visit to Dower House, a residential care home owned by EBTS member Judith Lywood who had also arranged the trip. 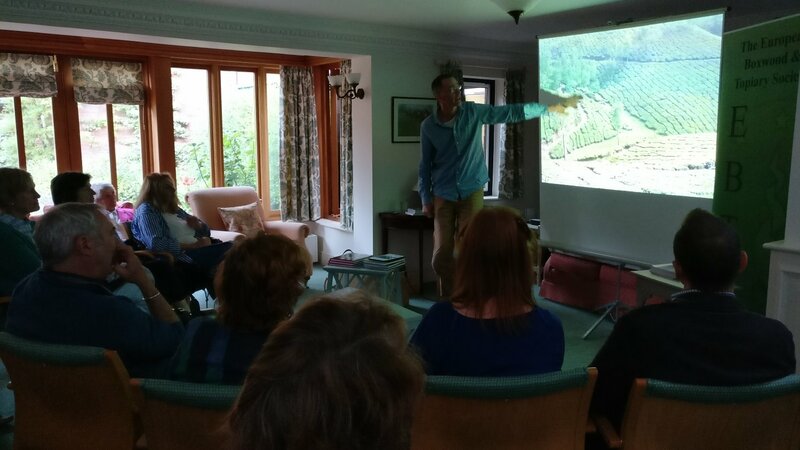 First we were treated to a talk by EBTS member, Jake Hobson of Niwaki , entitled ‘Creative Clipping’ which was based on Jakes experiences in Japan and work he has done back here in the UK. 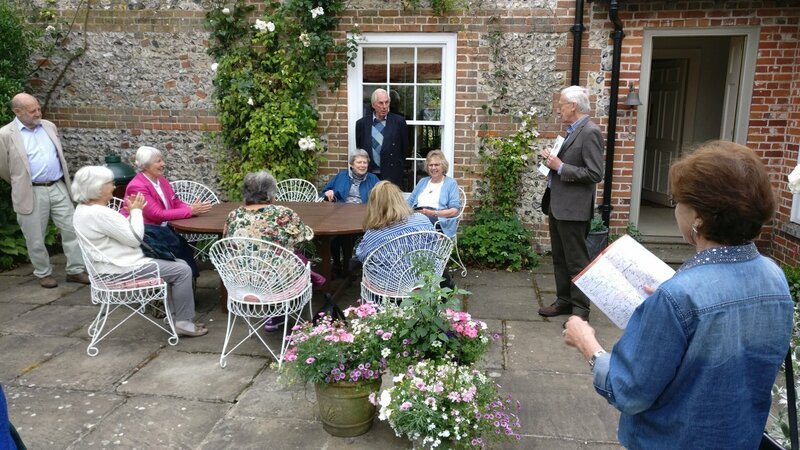 Over tea and cake we were also able to purchase some of the products his company sells such as shears. 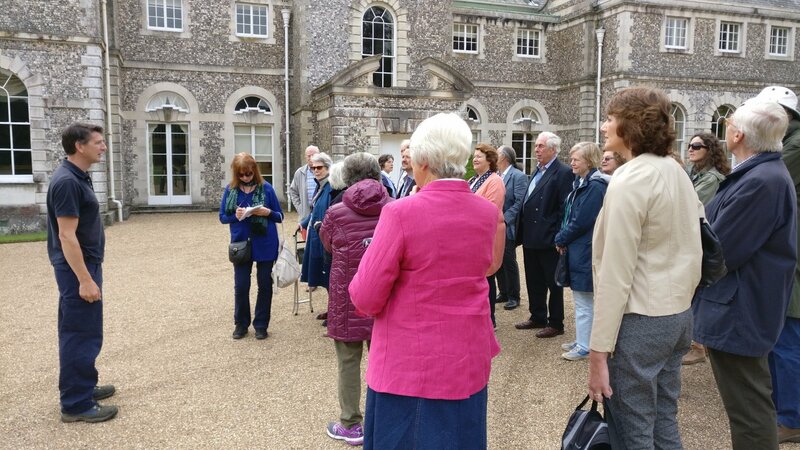 Next Ben the Head Gardner at The Dower House and Judith showed us round the grounds and gardens that the residents get to enjoy. 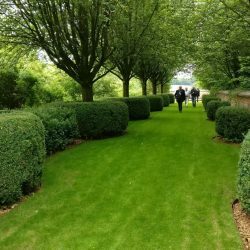 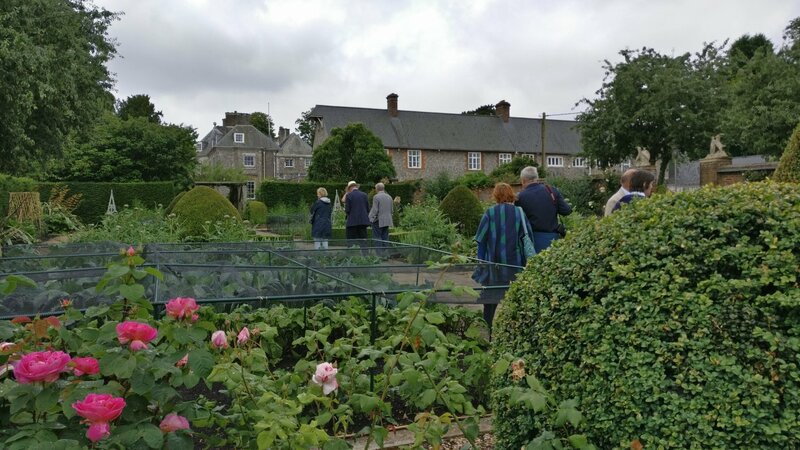 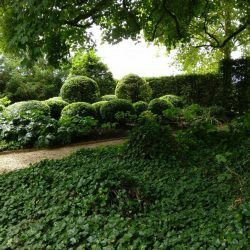 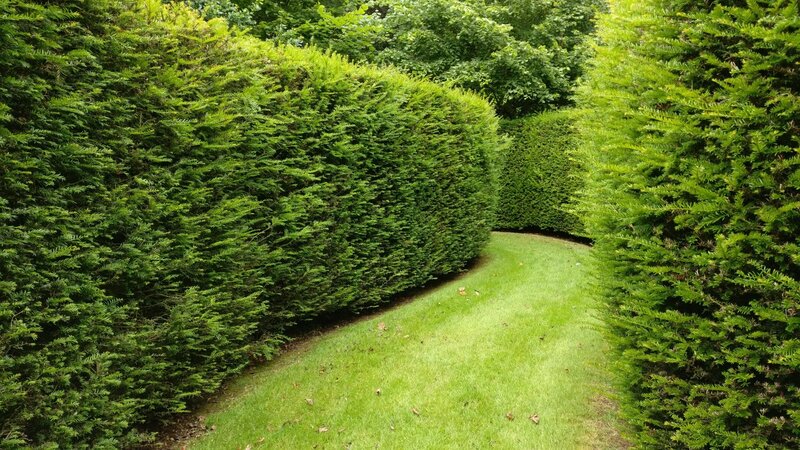 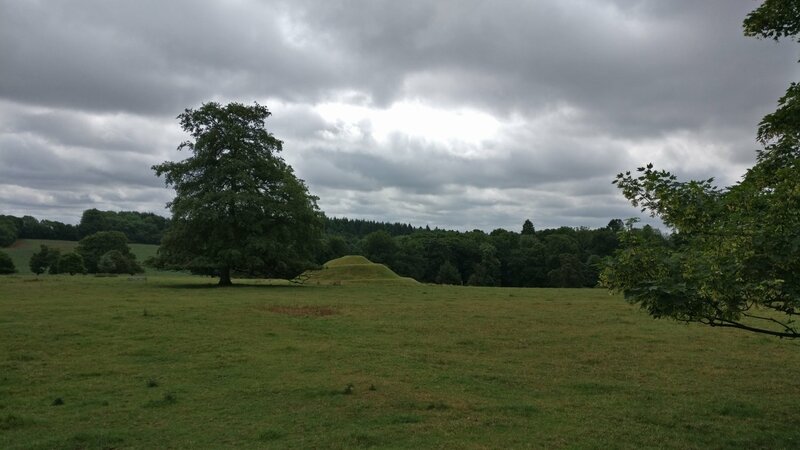 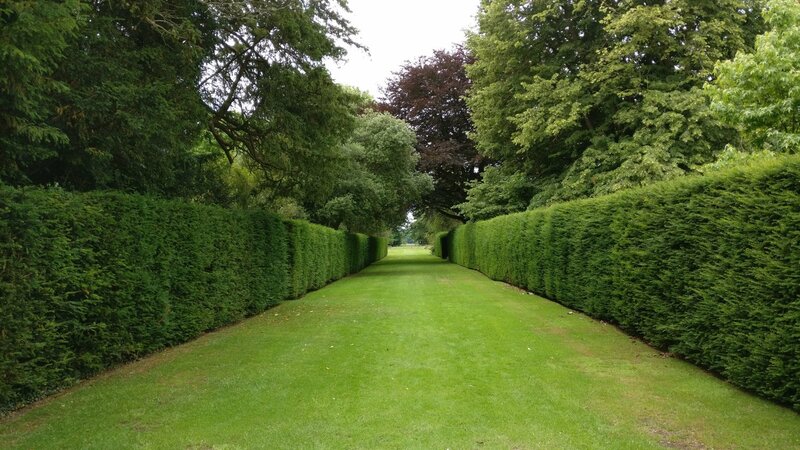 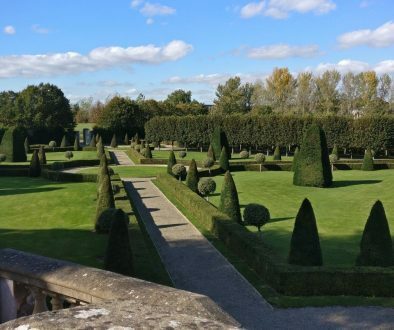 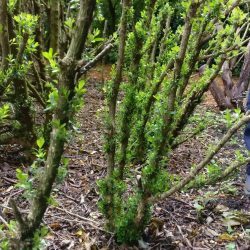 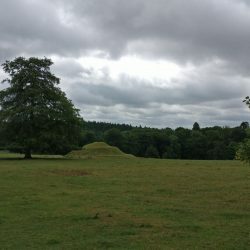 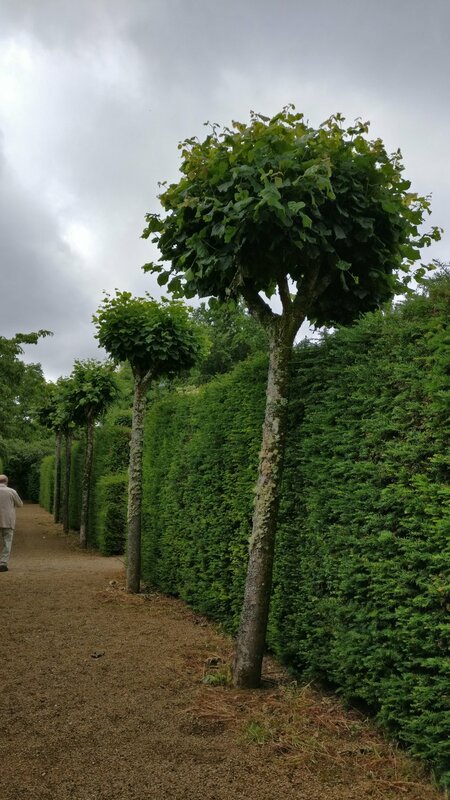 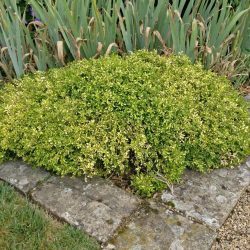 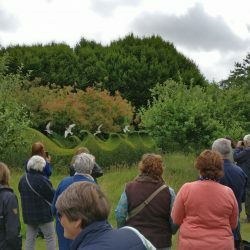 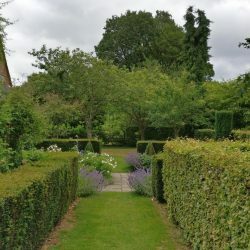 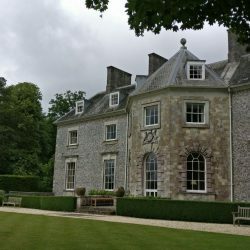 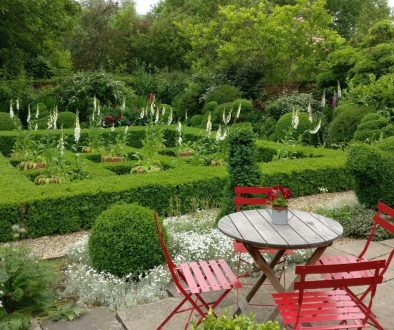 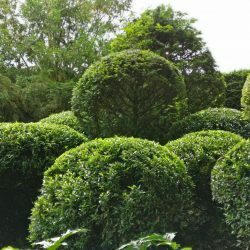 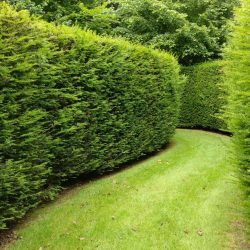 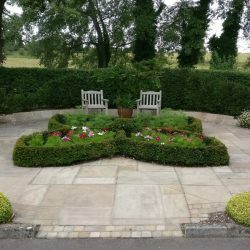 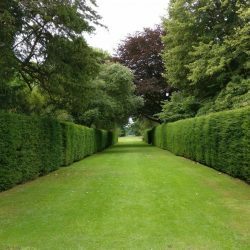 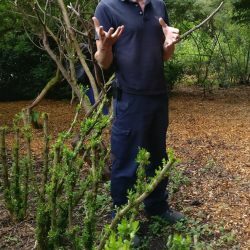 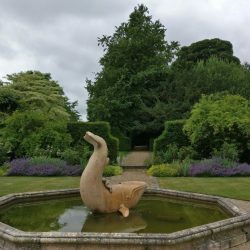 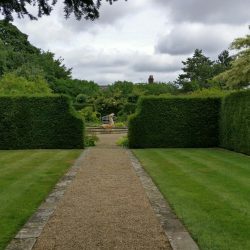 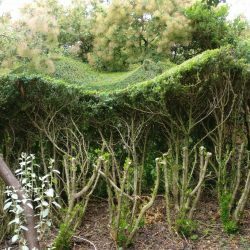 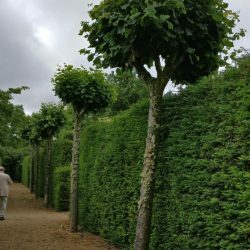 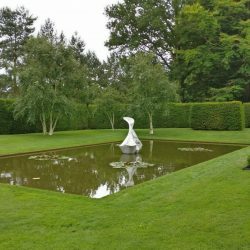 The gardens have been added to since EBTS’s last visit with a ‘physio’ garden and more yew & hawthorn hedging defining areas and guiding walks through the grounds. 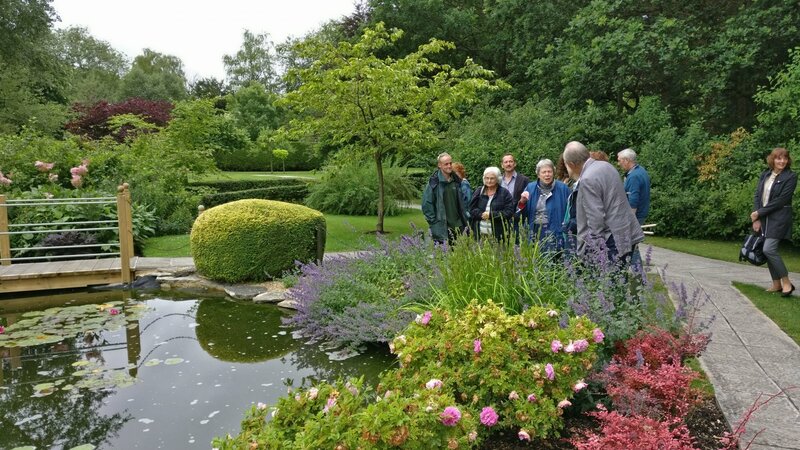 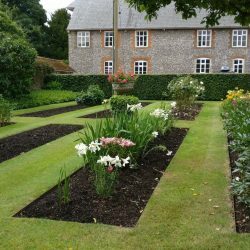 Thanks very much to Judith Lywood and Lisa Wood for arranging the day out in some wonderful Hampshire gardens.